Looking for a new or used Buick Enclave? 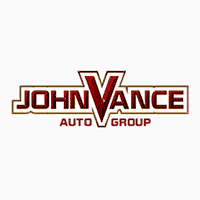 If you are near the Oklahoma City, Edmond or Guthrie area, come see us at Vance GMC Cadillac Buick in Guthrie, Oklahoma. Discover why it is worth the short 10 minute drive north of Edmond and 30 minute drive north of downtown Oklahoma City on I-35 to Guthrie. We offer friendly personalized small town service with a big city inventory. In fact, Vance Auto Group has been faithfully serving Oklahomans for over thirty years. We are dedicated to making customer satisfaction our number one goal. Since we have nine full service dealerships, we have a huge selection of preowned vehicles to choose from. If you want a brand new Buick Enclave, come to our Buick dealership in Guthrie to experience an Enclave for yourself. The Buick Enclave is tomorrow’s SUV for today’s family. It seats up to seven passengers in comfort and luxury but with a durability that can handle a busy family. The Enclave delivers a perfect blend of power, efficiency and responsiveness with the versatility to carry family and friends or to fold down seats in several combinations to offer up to a whopping 97.6 cu ft of cargo space. You can add an available towing package to haul a boat or trailer up to 5,000lbs. The Buick Enclave is sleek and stylish yet will meet all your family’s needs. Expect an efficient 18 MPG for city driving and 26 MPG for the highway with a 310 HP 3.6L V8 engine. Our Five-Link Rear Suspension offers a smooth ride with reduced noise and vibration along as well as providing confident handling, responsive steering, and improved cornering. Check into the available Intelligent All Wheel Drive with an active twin clutch system which activates when road conditions are not ideal providing optimum power and traction. Other safety features include Surround Vision, Forward Auto Braking, Forward Collision Alert, Front Pedestrian Braking and On Star Safety and Security. The Enclave keeps you connected on the road with the Buick Infotainment System, Apple Car Play, Android Auto, available 4G LTE WiFi for up to 7 devices, Navigation System and Buick Connected Services. Come see us at Vance GMC Cadillac Buick in Guthrie, just north of Edmond and Oklahoma City where we will treat you like our small town neighbors.